Health forces me to sell my bike. 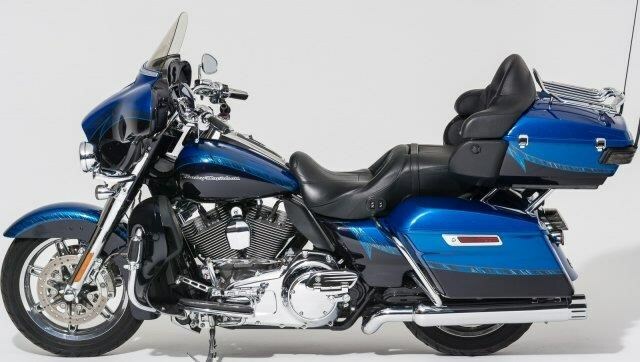 2014 Harley Davidson CVO Ultra. Like new, less than 5000 miles. A new one will cost right at $43,000,00. I am asking half of that. Asking $22,750.00 or best offer for this like new bike. Please share if you know someone looking for a fantastic bike at a great price. Hello, I'm interested in your 2014 CVO™ Ultra Classic® Electra Glide®. Hello, I'm interested in making an offer on your 2014 CVO™ Ultra Classic® Electra Glide®. Hello, I'm interested in trading in my bike for your 2014 CVO™ Ultra Classic® Electra Glide®. Hello, I'm interested in taking your 2014 CVO™ Ultra Classic® Electra Glide® for a test ride.